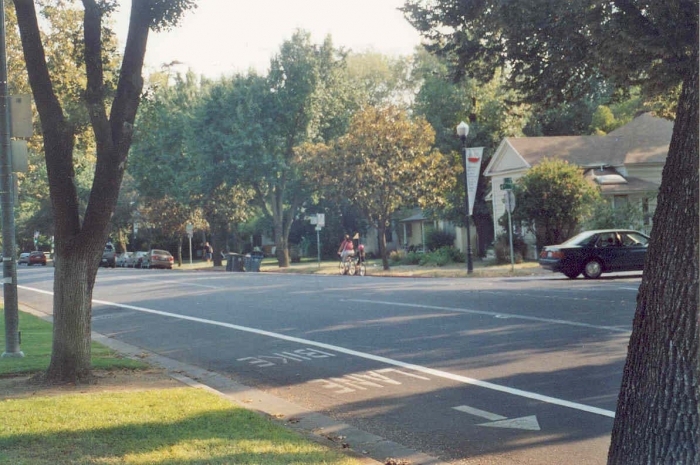 As the discussion of how to provide safe bike access to the area around Chase St. drags into its fourth year, here is a rare editorial from our executive director. Yes, it is a long read. But this a complex issue with real stakes, for real people. We believe there is a place for nuanced, informed discussion. This editorial builds upon emails our executive director exchanged with a commissioner in June, 2018. When I think of the loooong history of Chase St. I think we have made startling progress, especially with the current recommended changes. In 2015, when previous TPW staff originally recommended bike lanes between Rowe and Newton Bridge Rd, BikeAthens was disappointed because the process was so car-centric and regressive. We dug in and successfully worked to expand the scope of review. We now have a progressive, holistic plan that looks to create real connections. If adopted, the Chase St. concept and the Barnett Shoals reconfiguration would have been the biggest victories for biking and walking since ACC adopted a Complete Streets Policy in 2012. Of course, now both projects have been pulled from the voting agenda. For Chase St. in particular, at least one commissioner suggested waiting to take action until we see traffic analysis from private developers. (Ask Yonah residents about that nightmare, or look at the terrible bike lane designs in The Mark development.) UPDATE: ACC now says the project will be back on the agenda in September. If so, will it look the same? Given the deference to the projects’ detractors and the lack of public support from the commission, I am skeptical that it will survive without dilution. The proposed Chase St. etc… concept looks at the whole transportation “watershed” for the corridor and will improve travel for bikes, cars, trucks, and people. Just last year, Mayor-elect Girtz lamented ACC policy only looked at small segments in isolation of wider mobility needs. The Chase St. / Boulevard / Barber recommendations are a model of what a better, enhanced complete streets policy–with supporting Citizens Committee–can look like. For example, I think Toole Design may have undersold the level of public input they received. 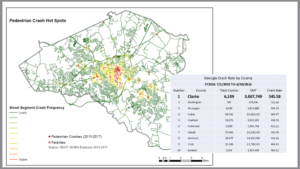 After the bike lanes were removed and they were brought in, Toole had sit down interviews with groups like BikeAthens, Complete Streets Athens, and Georgia Bikes. They also talked to residents and business owners. At the more traditional public meeting, they also asked for feedback on which configurations people liked best. While I wanted to see a direct connection on Chase, I know that was not the most popular choice. Many people–people who bike included–preferred taking the scenic route down Barber or Boulevard. Plus, the families on Chase really really love the existing center turn lane. I support the current concept because it provides options and slows traffic. For people who are confident taking a lane on Chase, the plan slows traffic on Chase through the use of the bridge reconfiguration and the roundabouts. For people and families who want a more separated experience, Boulevard to Barber to Oneta provides a very pleasant, if slightly more circuitous, route. This plan calling for a separated path connecting Dairy Pack / Newton Bridge to Boulevard / Boulevard Woods is a HUGE victory. Most importantly, it begins the process of reconnecting Kathwood and Vincent Dr. to destinations inside the Loop. I think Athens is a better place when there is less of a inner Loop / outer Loop divide. 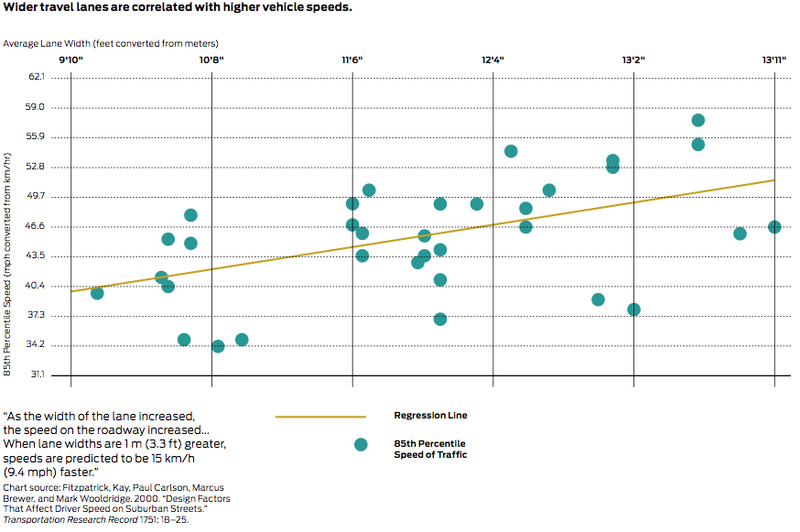 Wide lanes equal higher speeds. On that note, I do not dismiss the need for bike lanes on Boulevard. Speeding has long been an issue on Boulevard. We know wide, unmarked lanes encourage speeding. That is why they are discouraged. On Boulevard, the parking lanes are not marked, and when un-used the street is almost freeway width. 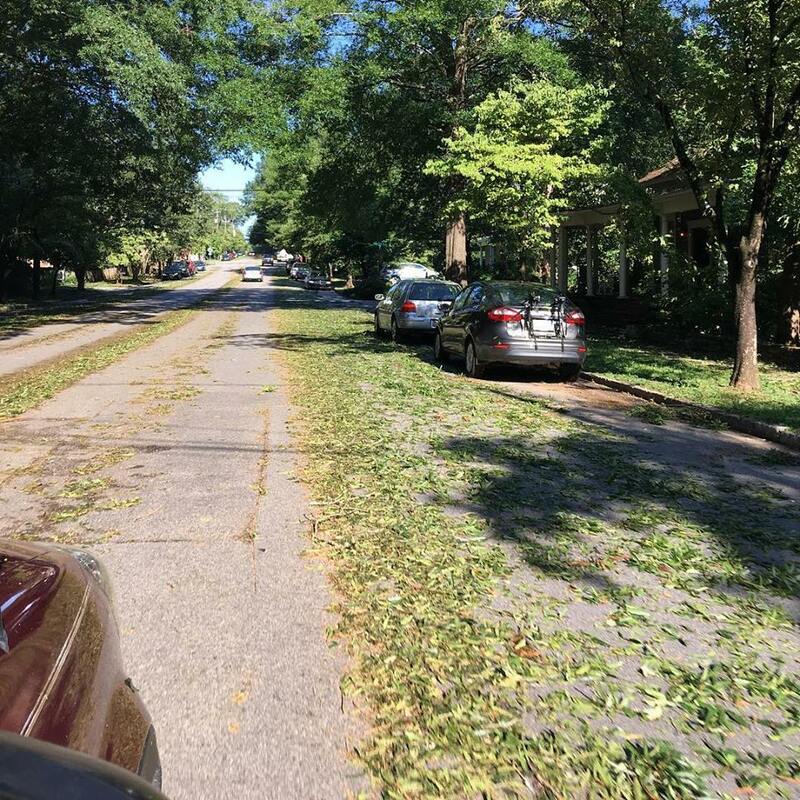 In the fall, the parking lane is full of debris and when a bus goes by at 35 mph it is breathtaking (and not in a good way). The recommended bike lanes, parking markings, and select curb extensions would narrow the street visually and calm traffic. The changes will make Boulevard more of the classic “8 to 80” street. I can think of nothing more charming than seeing more families out riding their bikes on Boulevard bike lanes; more people using bike lanes on Boulevard to commute to work. And as for the aesthetics, well, we don’t want to be the next Coronado, CA, Haha! Some folks have suggested the Boulevard concept is too pricey. I am not really buying the budget argument. Despite rumors flying around, most of the Boulevard costs go to curb extensions, intersection improvements, and traffic calming. “Painting” the bikes lanes is small portion of the total. If we are worried about the costs, let’s just increase the City’s budget for biking and walking! It doesn’t have to be a zero-sum game. Plus, the concept’s funding source has not yet been identified. But remember, TSPLOST has its own sidewalk pot. Bike lanes on Boulevard would not compete with sidewalk projects. The West Broad / Hancock area also has its own funding source. If we need more money for traffic calming, the paving budget is awfully big! Straight down Chase, it’s 0.82 miles from Boulevard to Newton Bridge. To divert along Boulevard to Barber down to Dairy Pack, it’s 1.46 miles. Half a mile is not that big of a diversion. If we expand our scope to think about larger mobility concerns, for folks coming from Kathwood or Vincent Dr; Barber is a much more appealing alternative to reach destinations inside the Loop. Indeed, the full Athens in Motion plan will recommend continuing a connection along Newton Bridge. While a section of bike path on Chase from Boulevard to Oneta was suggested, the residents of Chase St have loudly and consistently rejected any change to that section of the street. 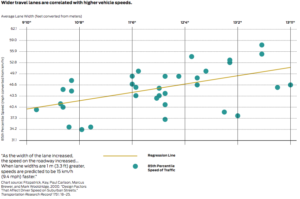 If traffic calming works as intended, maybe ACC can revisit the issue. Lastly, quality public input is important. Nonetheless, this project has received public input since 2015! There were stakeholder interviews and a public forum. This was after the multiple public forums under David Clark and the public forum to announce the complete streets analysis project. Outside of maybe the epic saga of Clayton St., there has not been a recent transportation project that has received more input than this one. At certain point, calling for more input serves only to delay and obstruct. This concept was created in the spirit of collaboration. It was pulled off the agenda behind closed doors. Frankly, I am distressed by the way Commissioners are seemingly using their positions not to empower the people, but to favor politically connected business owners and neighborhood associations. Streets are public rights of way. By the people! for the people! 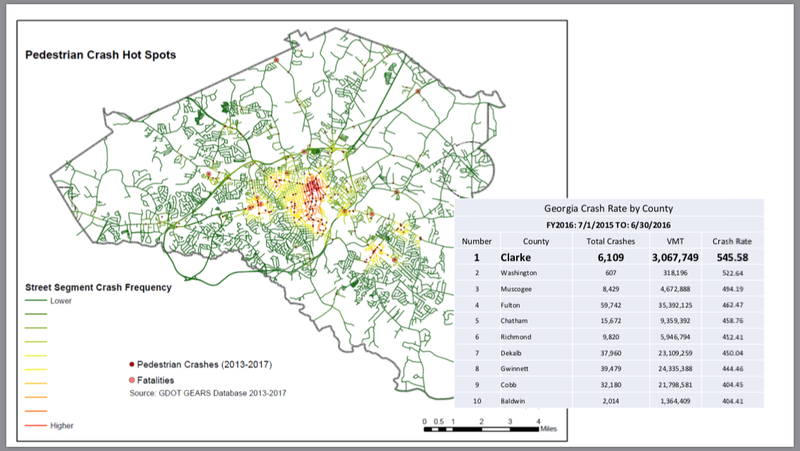 Athens has Georgia’s highest crash rates! As a community, we’ve suffered multiple fatal and serious-injury bike crashes. We all have a vested interest in street safety. 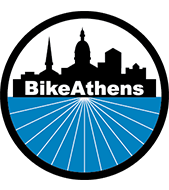 BikeAthens spent a lot of time and energy to convince ACC to change the way they approach repaving projects. We got them to consider streets more holistically and consider the needs of all users. Now, the Commission is sliding back towards the way things were: deferring to the loudest, most politically connected voices in the room. I say let’s buck the status quo. Let’s move forward. Let’s put Athens in Motion and approve these concepts without delay. -Tyler Dewey, BikeAthens executive director.